Key difference: Bharat Petroleum stands for Bharat Petroleum Corporation Limited (BPCL), an Indian state-controlled oil and gas company founded in the year 1977, and ranked 229th in the Fortune Global rankings for the year 2013. Hindustan Petroleum stands for Hindustan Petroleum Corporation Limited (HPCL), is also an Indian state-owned oil and natural gas company founded in the year 1974, and ranked 260th in the Fortune Global rankings for the year 2013. 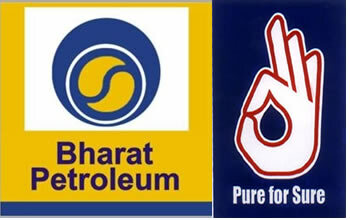 Bharat Petroleum and Hindustan Petroleum are the most known and biggest Indian oil companies. Both contribute a major share in the Indian oil economical statistical sectors and margins. These are highly employed with huge government capitals and shares. These are renowned Indian government companies with large assets and equity. Both, the companies have set up and are currently working on various operations at different states of India. Bharat Petroleum Corporation Limited (BPCL) was formed in 1977. Previously, the corporation was named as Burmah Shell which was taken over by the Indian government in 1976. At that time, it was the first refinery to process the newly founded indigenous crude Bombay High. Today, BPCL owns a large infrastructure along with huge employments; there has been a consistent growth from its time of formation. It’s the second largest Oil Refining and Marketing Company. Also, as per the 2013 rankings it’s the 229th Fortune Global world's biggest corporation. 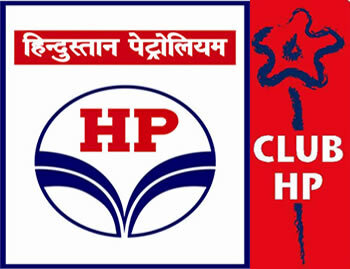 Hindustan Petroleum Corporation Limited (HPCL) was formed in 1974. The corporation was formed after the takeover and merger of Erstwhile Esso Standard and Lube India Limited by the Esso (Acquisition of Undertakings in India) Act 1974. HPCL has proved a steady growth and progress in the oil and refineries. Today, HPCL is the third largest among the Indian Oil Refining and Marketing Company. The company has about 20% marketing share in India among PSUs and a strong marketing infrastructure. It is ranked 260th in the Fortune Global 500 rankings of the world's biggest corporations for 2013. BPCL and HPCL are huge Indian oil refinery plants with other operative plants at different parts of the country. Both contribute to a huge infrastructure and product utilizations. Also, these contribute major share in the economical and oil sectors with huge income investments and turn over. There consistent progress and development contributes a steady increase in the India oil trades and industrial development. Bharat Petroleum Corporation Limited is an Indian state-controlled oil and gas company headquartered in Mumbai, Maharashtra. Ranks according to the Indian Oil Refining and Marketing companies. Bharat Petroleum has been ranked 229th in the Fortune Global 500 rankings of the world's biggest corporations for the year 2013. Hindustan Petroleum has been ranked 260th in the Fortune Global 500 rankings of the world's biggest corporations for the year 2013. Bathinda, Punjab by HMEL, a Joint Venture with Mittal Energy Investments Pte.Ltd.